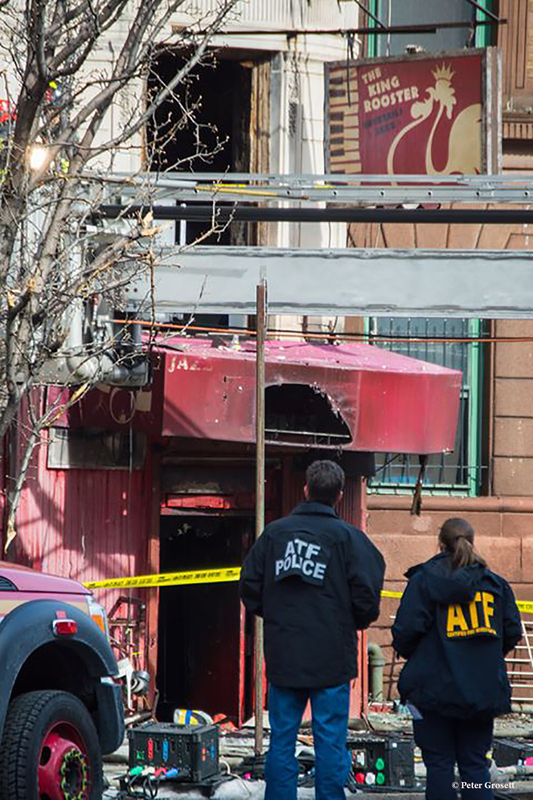 A fire broke out in the cellar of the building that once was the home to St. Nick’s Pub. The club, which has been closed since 2011, was being used as a film location set for the Edward Norton film, “Motherless Brooklyn“ based on a novel by Jonathan Letham. Photos of demolition + more…..
I’d like to know why the big rush to take this lovely building down. It seems suspicious. The loss of the building and especially the pub is a huge loss for the neighborhood. Tenants and neighbors have no say when film companies decide to roll in, inconveniencing people for weeks, or in this case, for a month. There is loss of street parking, increased noise, traffic re-routing, and difficulty walking on sidewalks. Film companies profit, the city profits. In this case, the film company devoted a neighborhood and gets to walk away, accepting no blame whatsoever. Ed Norton stated they did what they were supposed to when they noticed smoke on set, but unfortunately calling the fire department FIRST was not on the list. He also posted a link for a GoFundMe for the four young children under the age of 7 of the deceased firefighter. Where’s your sizable donation, Ed? There was no indication of any. It’s obvious that the electrical system in this 1920’s building was being overloaded. There were dozens of cables and electrical cords running into the basement. I saw it with my own eyes and was concerned. Something needs to change.